Chillies lose none of their heat during the drying process, in fact they become 2 - 10 times hotter due to shrinkage in size. They also take on a sometimes very different flavor that can impart a rich, sweet or smoky flavor into food. 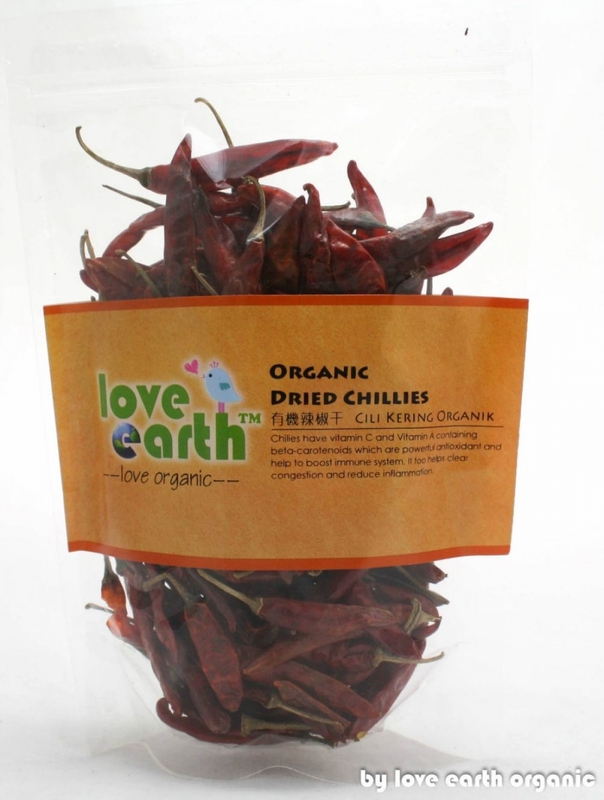 Love Earth Organic Dried Chillies offer whole as pods retain more flavor than crushed chillies. Excellent source of vitamin A – For the maintenance of your eyesight, internal membranes and reproductive systems. Rich in vitamin C – As an antioxidant and also helps strengthen the immune system. Good source of potassium, phosphorus, calcium, iron, zinc and selenium. Enhances blood circulation and promotes weight loss.